State Trading Organisation (STO) has revealed agents have been identified in 128 islands in efforts to provide staple foods to all atolls at a uniform price as in the capital, Male' City. Speaking on a programme aired on PSM News, General Manager of STO Fuel Logistics and Constructions Abdul Wahid said agents have not been identified for 55 islands. On April 1, STO commenced providing staples across the country without any differentiation in prices. It is a pledge of President Ibrahim Mohamed Solih to eliminate the price difference of staple foods across the country. Effective from April 1, the staple agents in all the islands will be able to distribute staples at the same price as in Male' City. 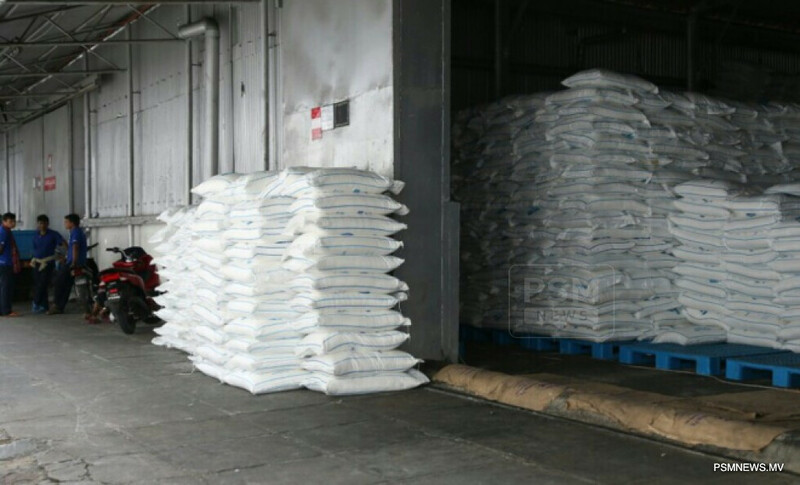 Comparing the prices, previously a sack of rice was sold for USD 15.54 while it has been reduced to USD 12.88, a sack of sugar was sold for USD 15.60 but has been reduced to USD 12.95, while a sack of flour was sold for USD 12.30 but has been lowered to USD 9.65. During the programme, Chief Finance Officer of STO Mohamed Mihad said staples will be available in the islands with staple agents for the same price as Male' adding however, if there are no staple agents in the island, the businesses have the authority to sell staples within the price range of economic ministry. Delivering the presidential address last February, President Solih announced the price of staple foods would be reduced in outer islands from April onwards. He said the administration gives utmost precedence to providing equal services to all and therefore, staple foods will be available in all the islands at the same prices as in Male' City.